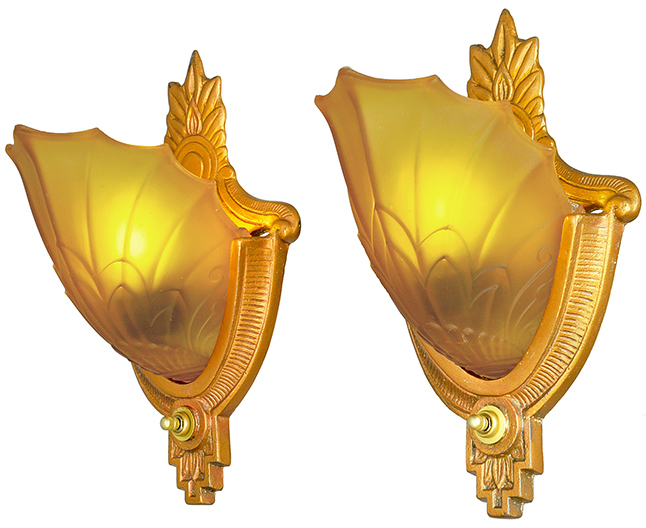 Cast iron, painted polychrome gold sconces made by Globe in the 1930s. Globe is a unique company, and not as common as Lincoln or Markel, but they did some very exciting things. Their brand name was Electrolier, and while some folks assume that there was a company named Electrolier, it was simply a brand that Globe marketed and impressed into many of their castings. The shades are in wonderful condition, without any chips or cracks other than a tiny bit of roughness where they go into the frame. 85% of the gold polychrome finish is just about mint. Projection: 5 ½" from the wall into the room. 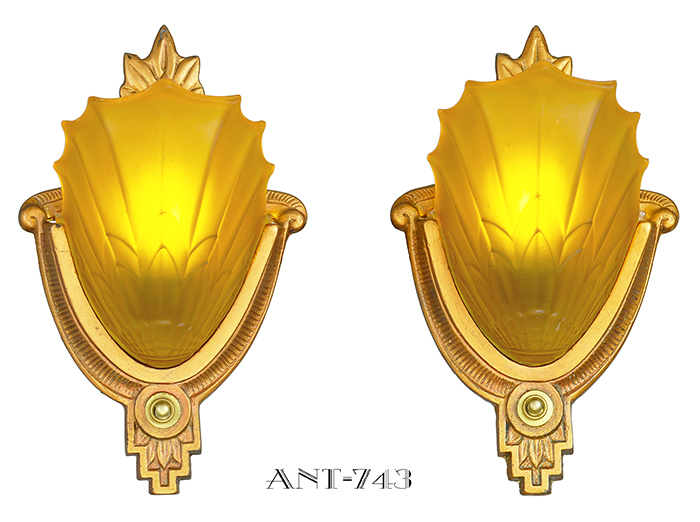 These sconces have been re-wired in our UL shop with new sockets and lead wire. Each socket can handle a 100 watt bulb. 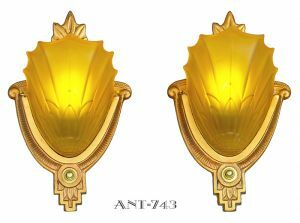 Comes with a complete mounting kit...so...these sconces are ready to hang and begin life in a different Art Deco or Bungalow atmosphere. 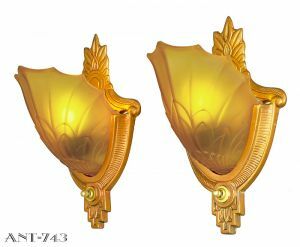 Price: $750.00 for a UL restored pair of Globe Electrolier sconces, complete with shades...plus a small shipping charge.